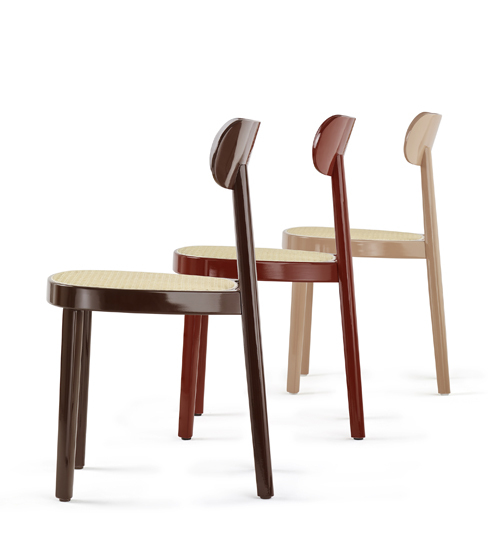 The bridge that the 118 chair builds between tradition and today arises from its direct familial relationship with the archetypical Thonet icon, the Coffee House Chair 214 (formerly no. 14), and by grace of its simple yet sophisticated design. 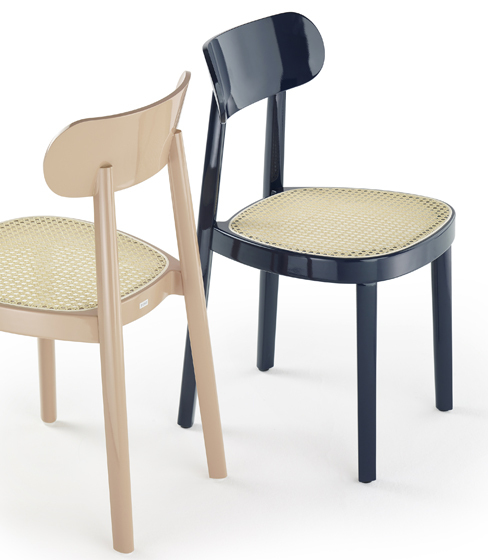 With its elegant frame bent by hand from a single piece of wood and comfortable seat with the option of wicker caning, the 118 range refers directly to the principle developed by Michael Thonet in the mid-19th century of reducing a chair to as few elements as possible. 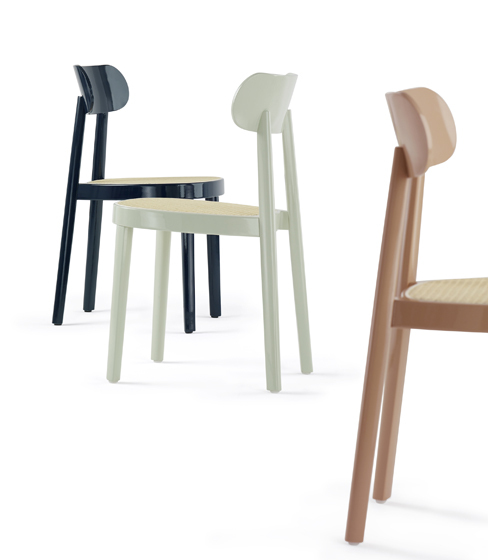 Now, six new high-gloss colours join the existing choices of finish for the chairs, with options for either moulded, caned or upholstered seats, as well as for the bar stools in the range which will be available in two different heights. An interplay of light creates unique reflections on the sleek surface, emphasising the subtle elegance of the design. Lacquer has always lent decorative objects that special something – from the art of Japanese lacquerware to numerous Art Deco furniture designs and to centrepieces such as precious grand pianos. 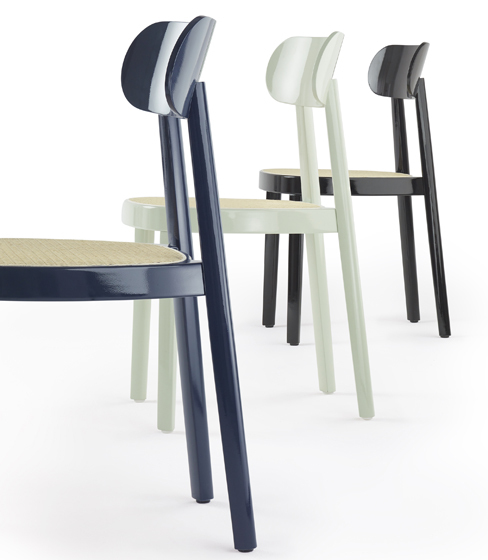 Sebastian Herkner explains: “Lacquer epitomises history, culture, and style; it gives the object depth.” In these carefully considered new colours and statement high-gloss finish, the 118 can become a design feature in any space.